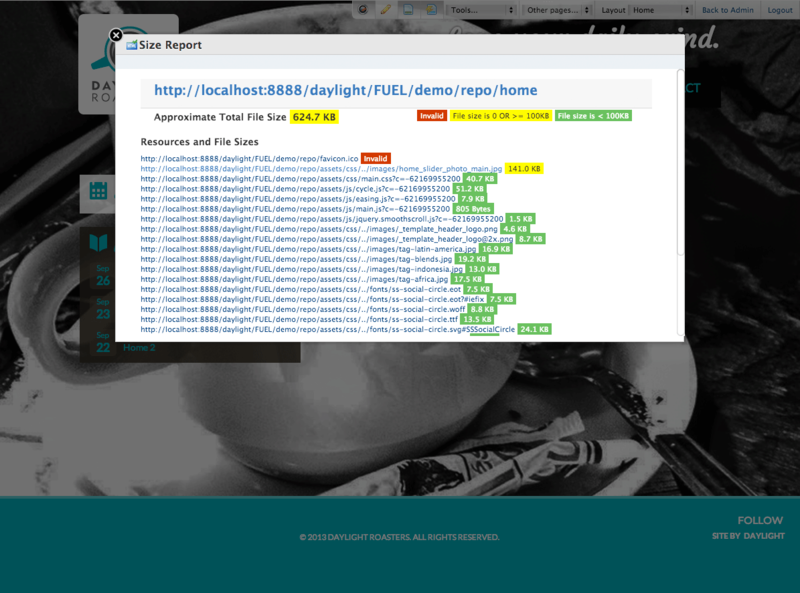 Easily expand FUEL CMS’s core capabilities with these modules or create your own. 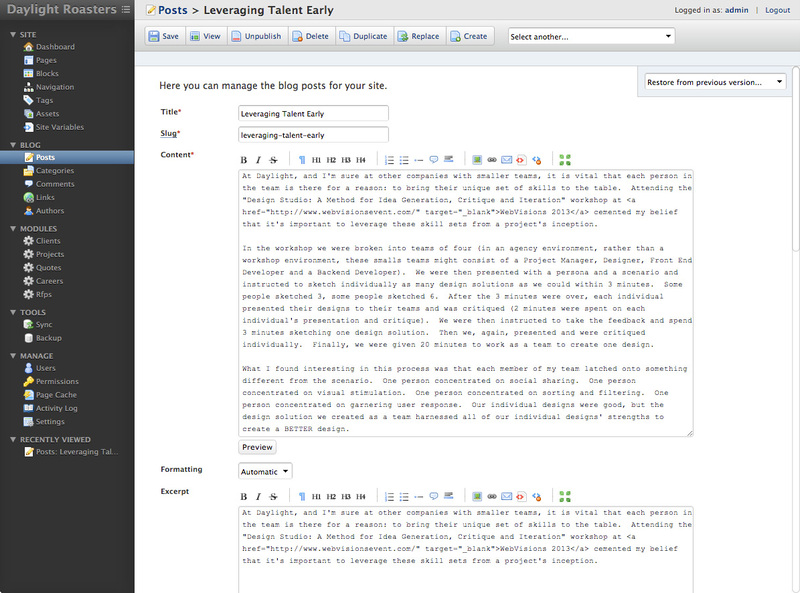 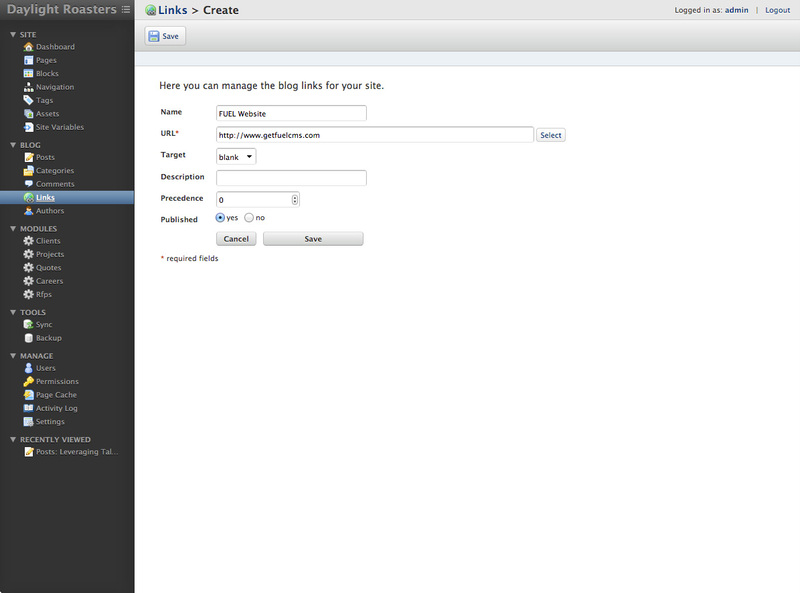 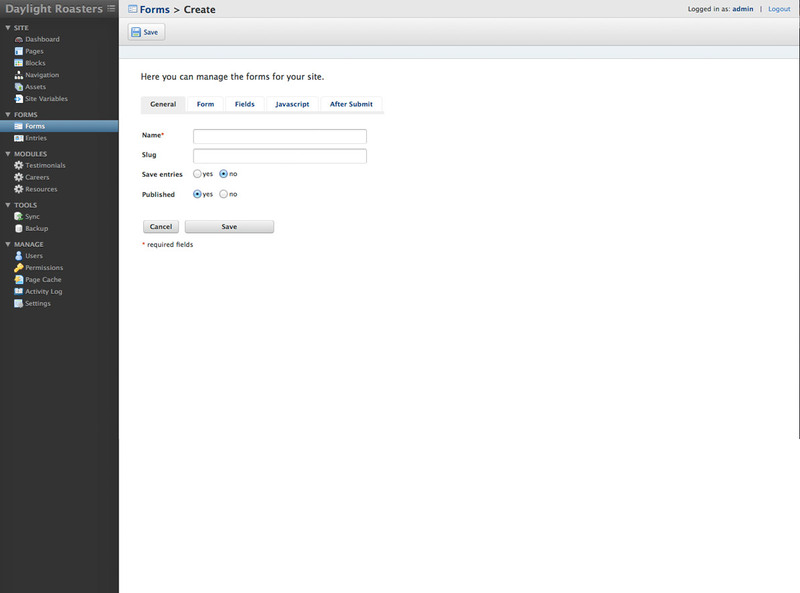 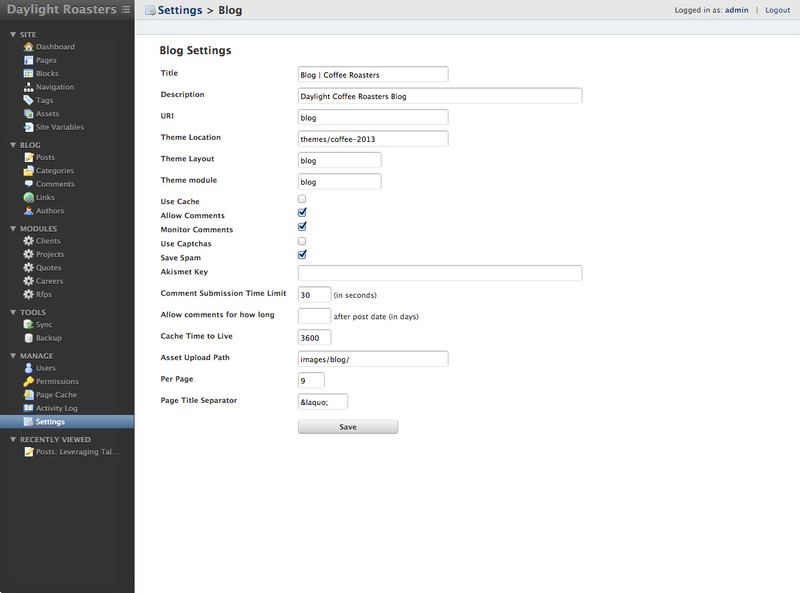 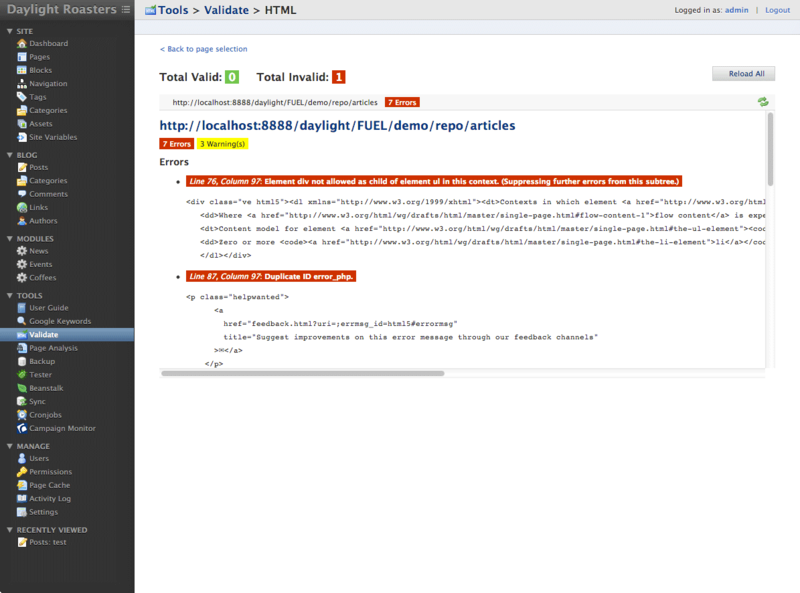 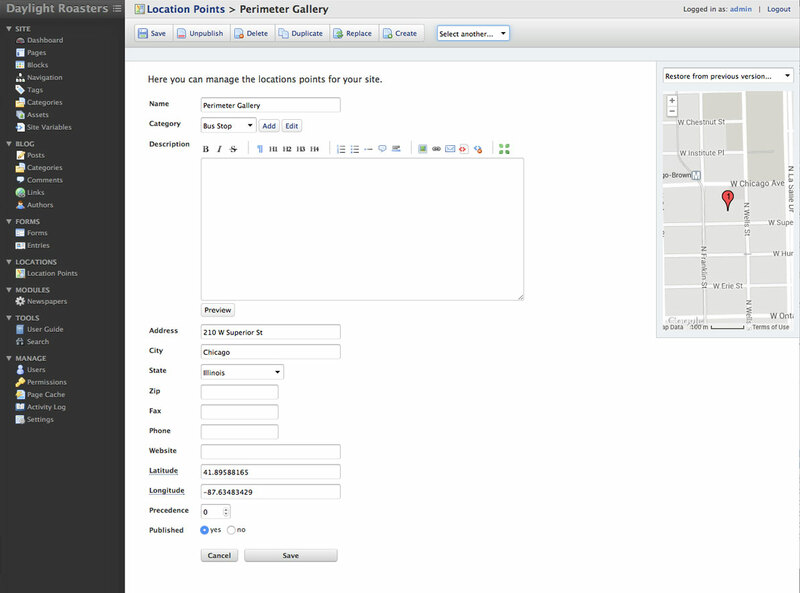 Access FUEL CMS documentation offline and quickly generate your own module documentation. 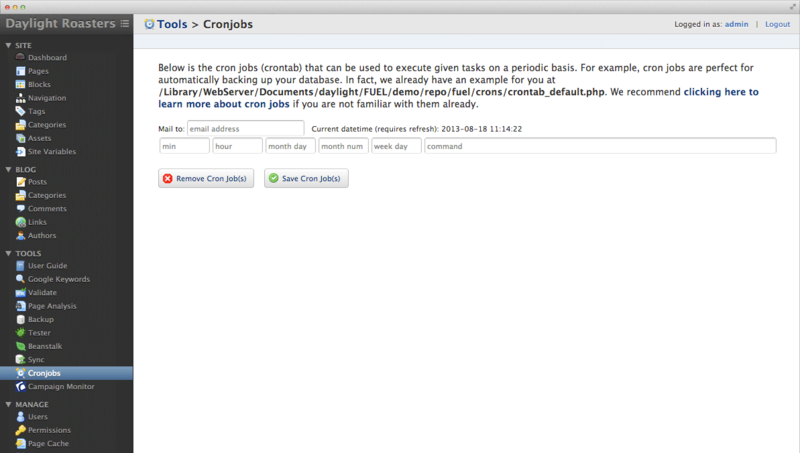 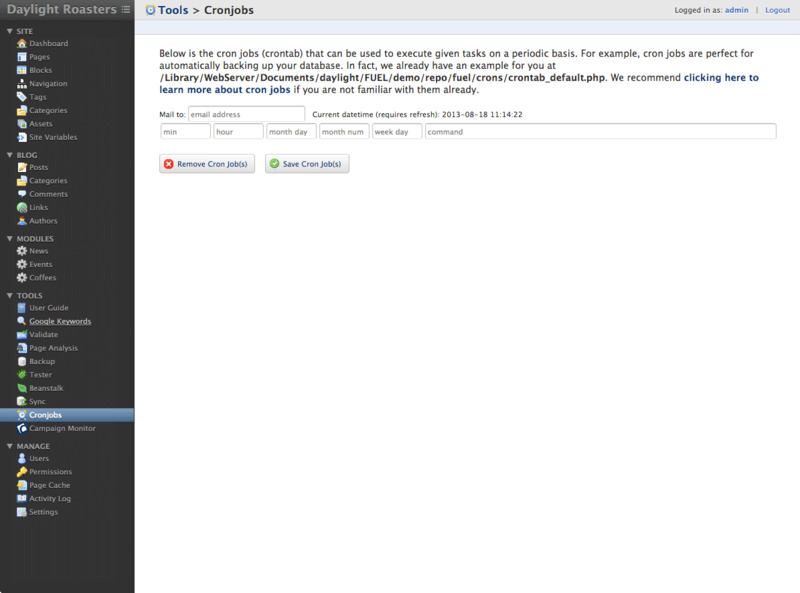 Back up your database and asset files, and integrate directly with the Cronjobs module to schedule periodic backups. 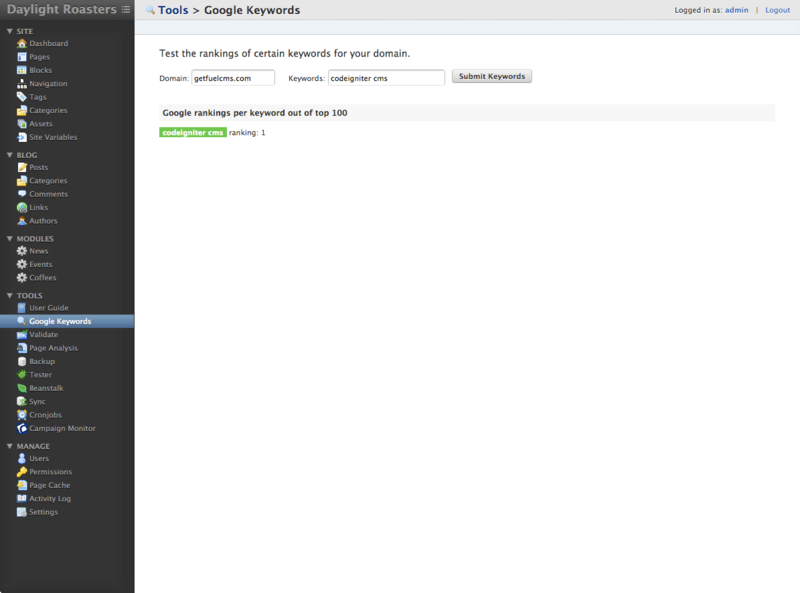 Test your domain's Google ranking for given keywords. 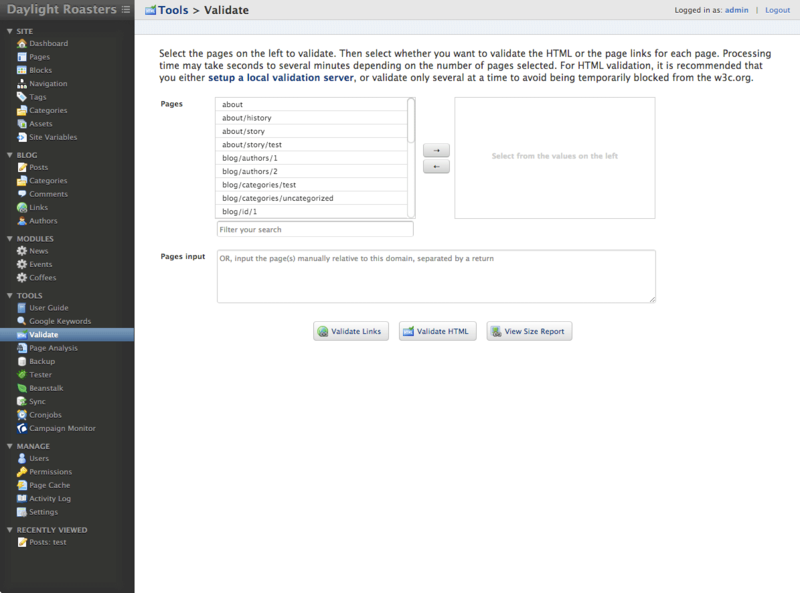 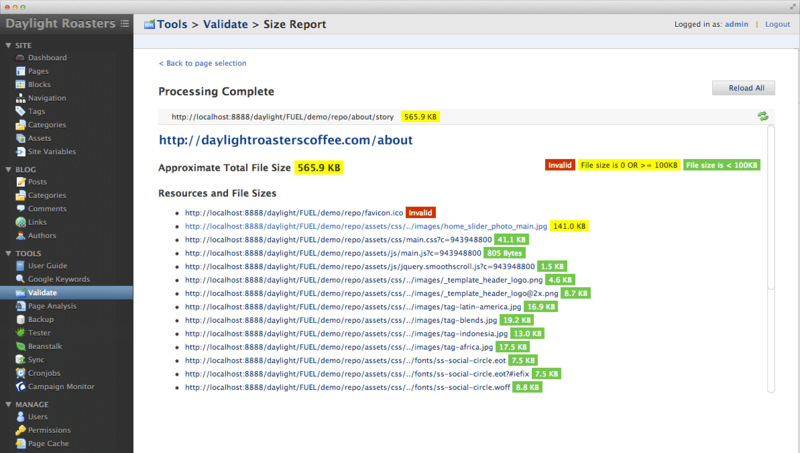 Validate your HTML, check for invalid links, and check file size (weight) of your pages. 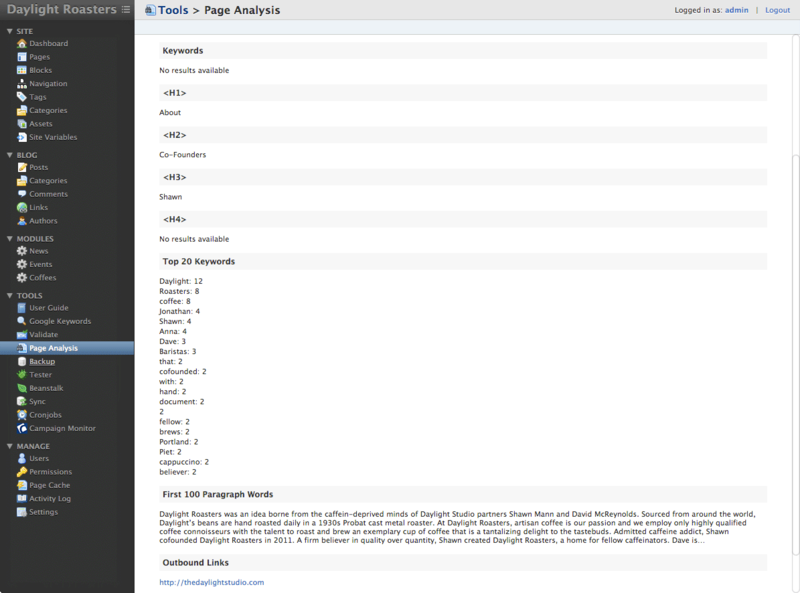 Improve your search friendliness by viewing the structure of your pages like the search engines see them. 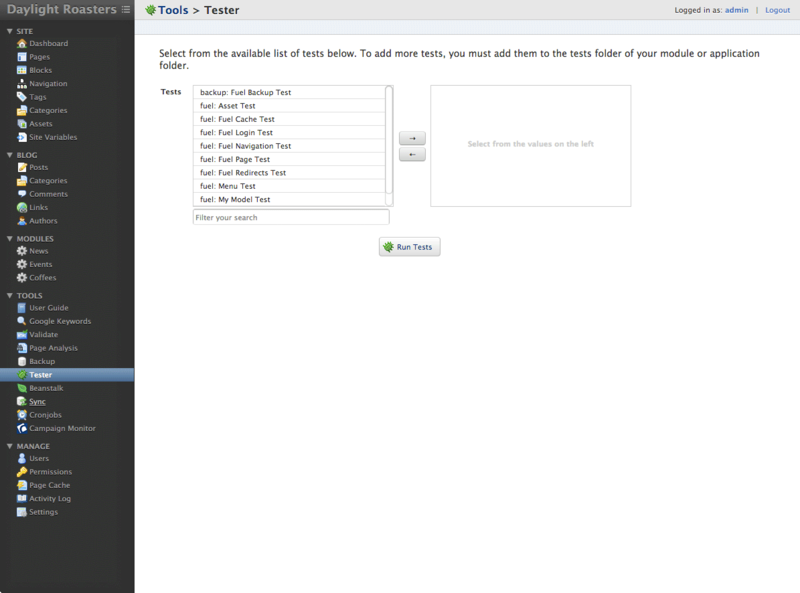 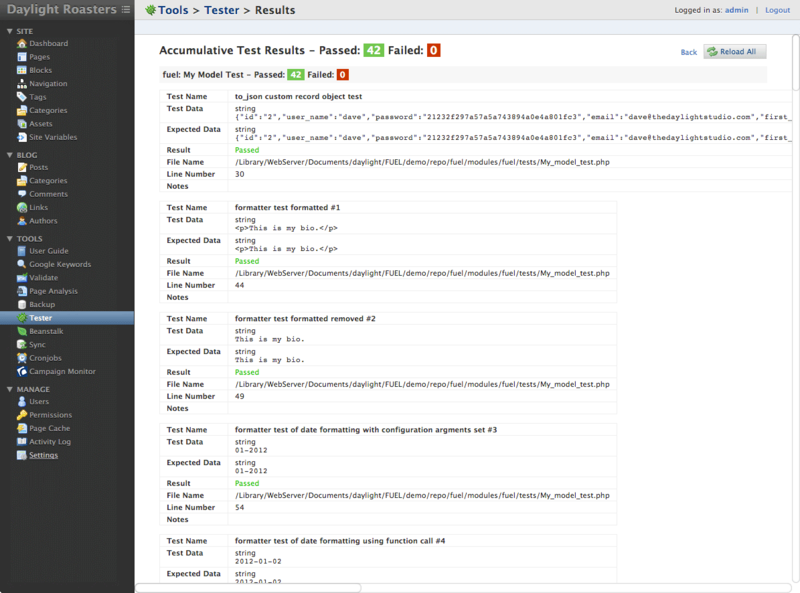 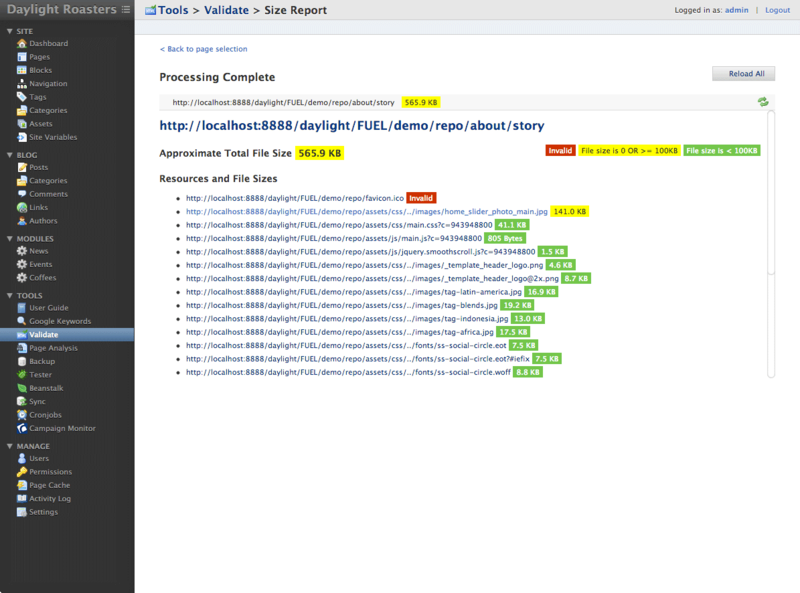 Create tests and run them in the FUEL admin panel or from the command line terminal. 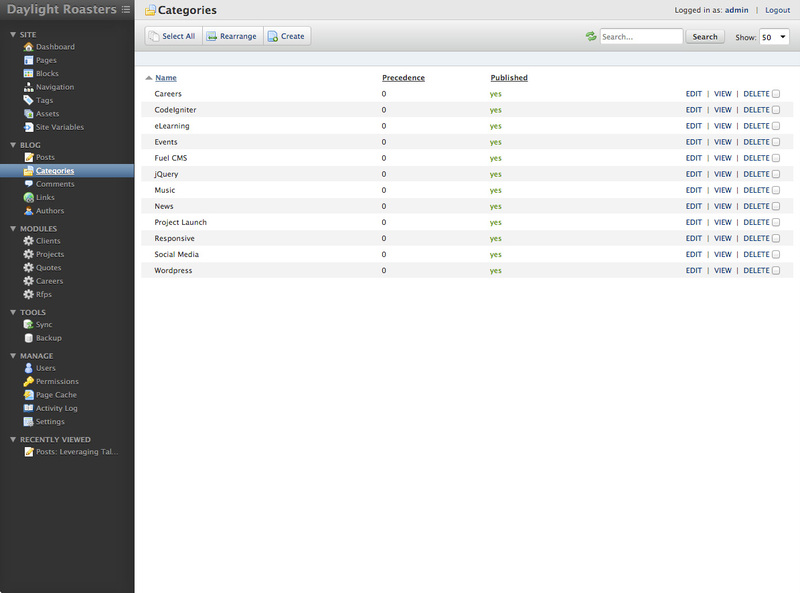 Schedule periodic tasks like search indexing and database backup. 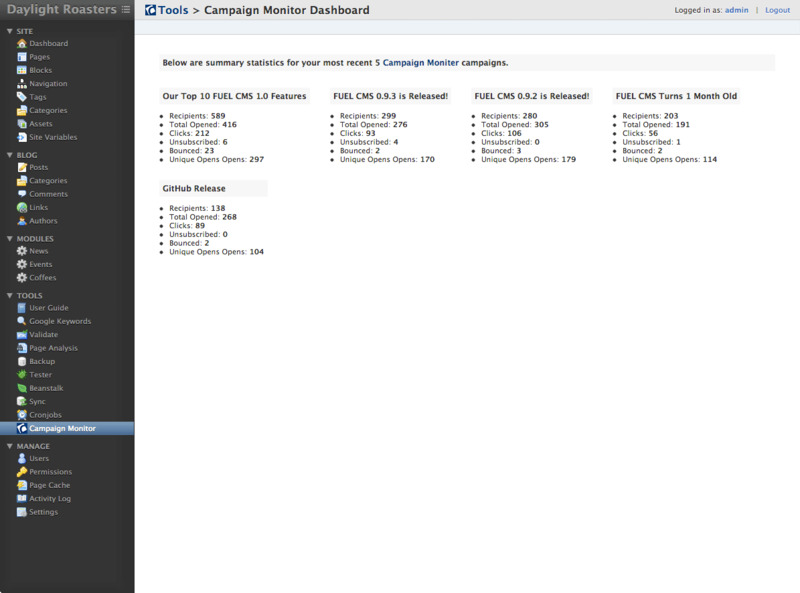 Display summary statistics for your recent Campaign Monitor email campaigns in FUEL's dashboard. 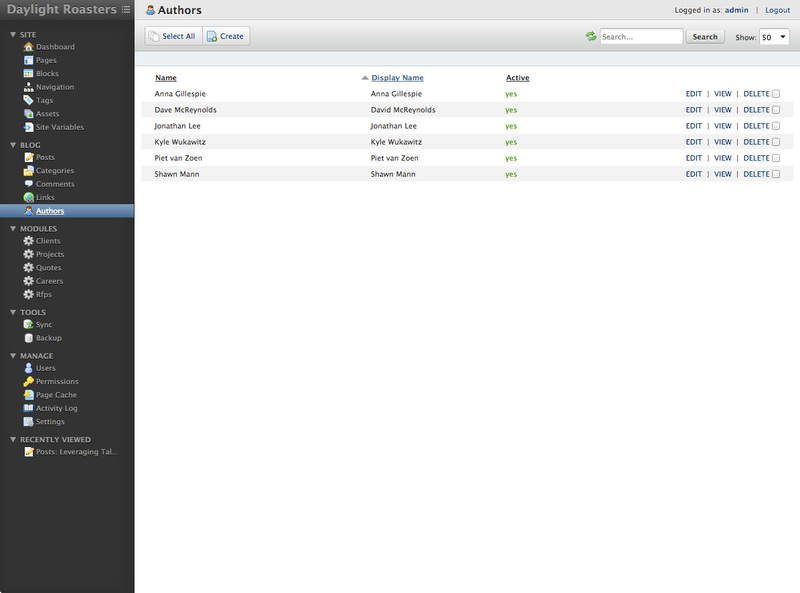 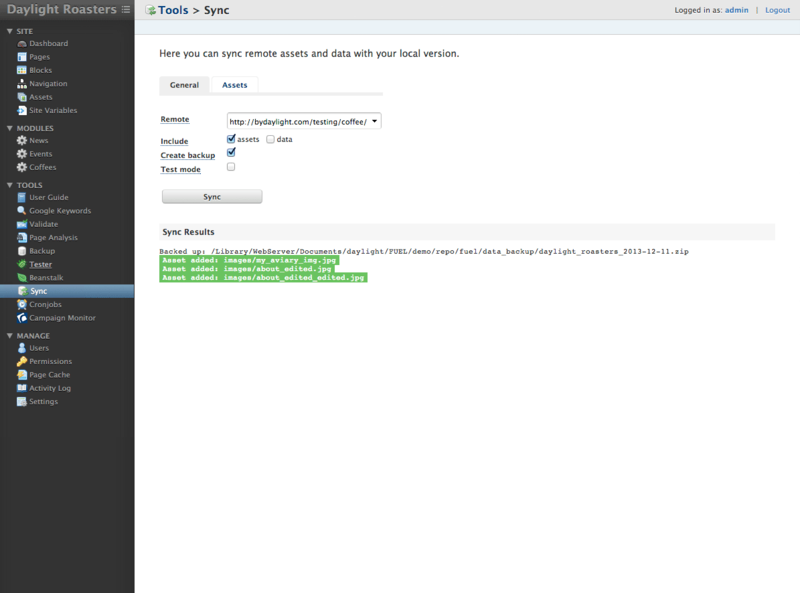 Sync your assets and database from different remote environments. 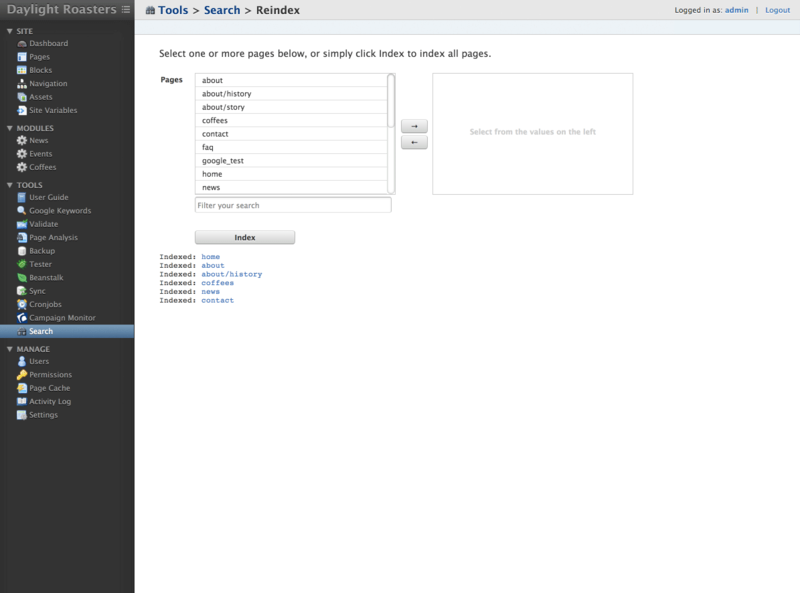 Crawl and index your site to implement search capabilities on your site. 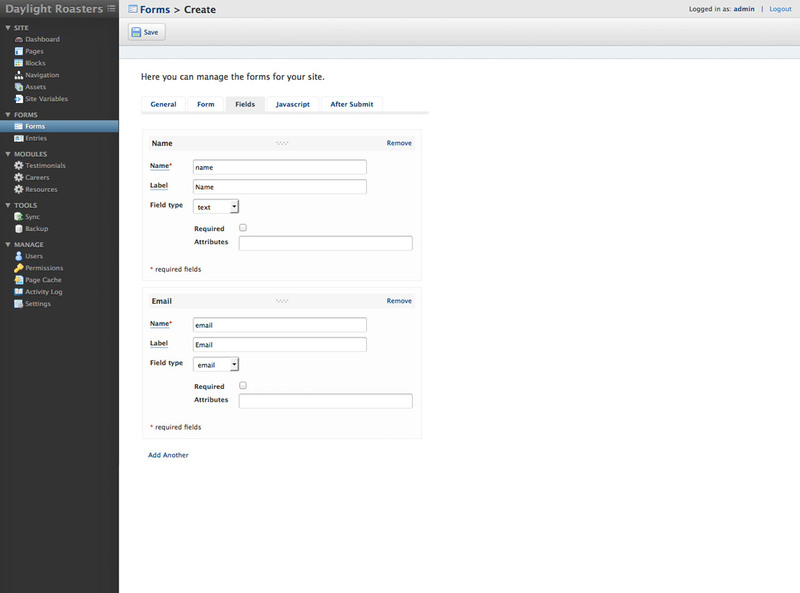 Build forms within the CMS or use your own code and leverage the built-in support for saving entries, emailing entries, attaching files, controlling SPAM, and more. 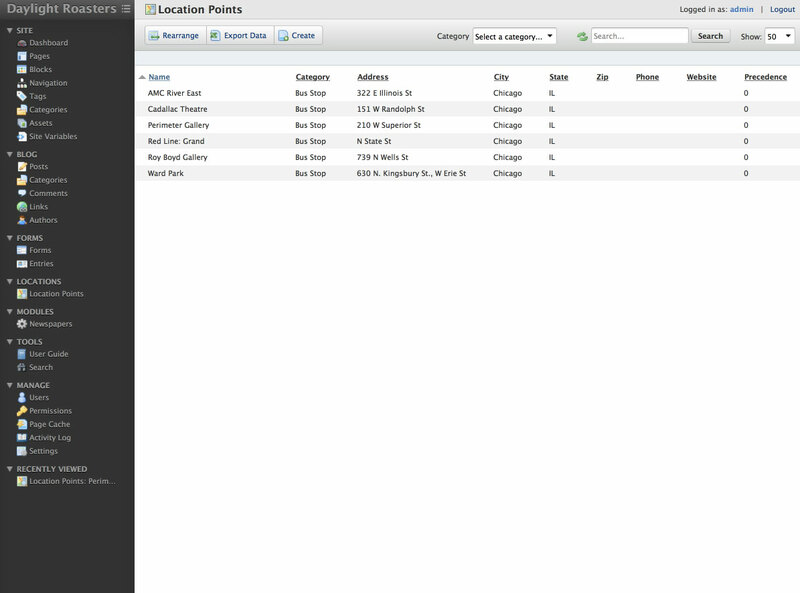 Plot points on a customizable Google Map and search by zip code radius. 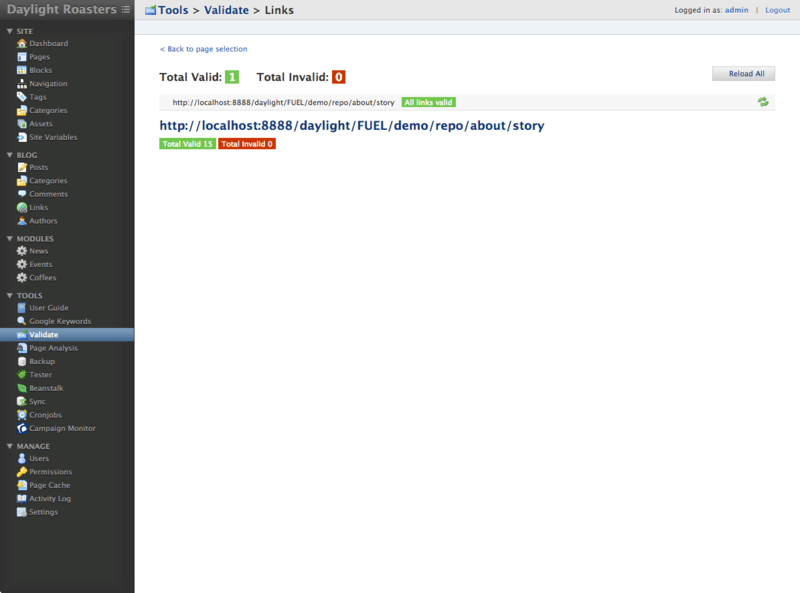 Do you want to create your own modules or just want to contribute to the FUEL CMS community? 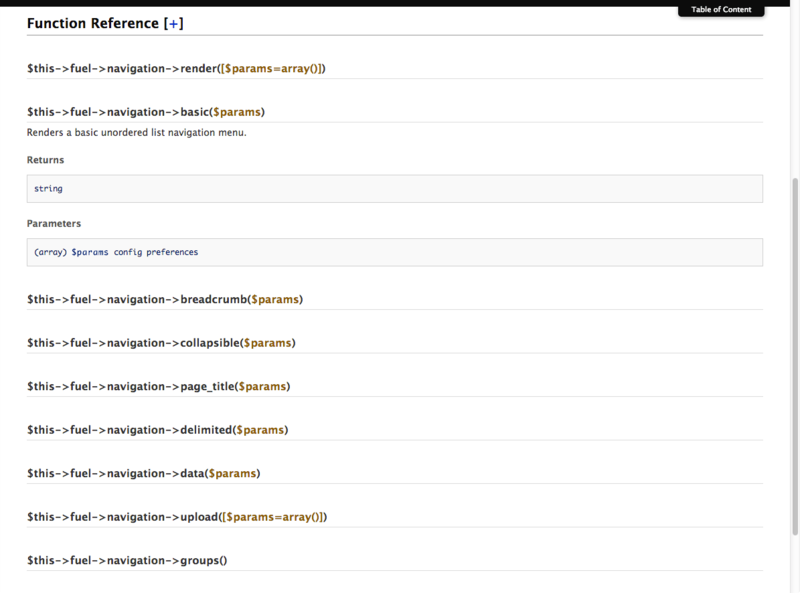 Set up a GitHub repository with your code and . 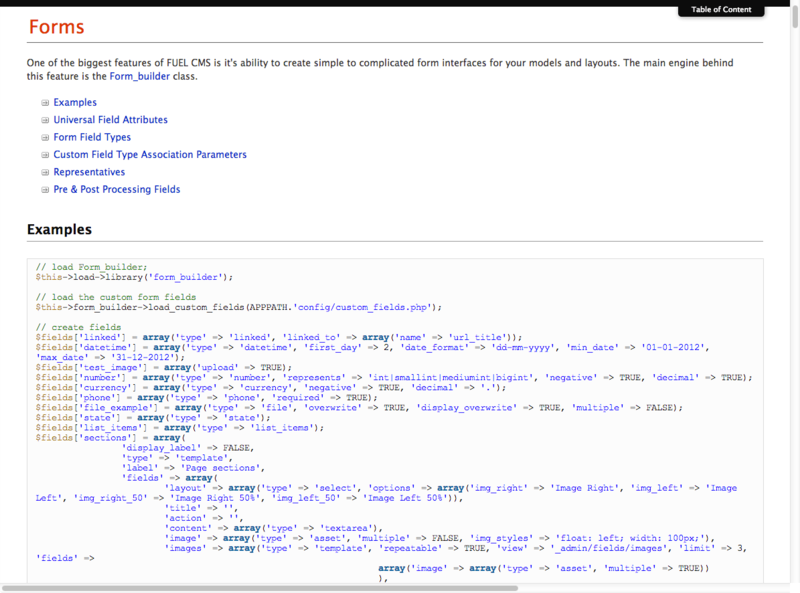 As a long time PHP developer and CodeIgniter enthusiast, I was always a little bit jealous of the functionality that django brought to python developers. 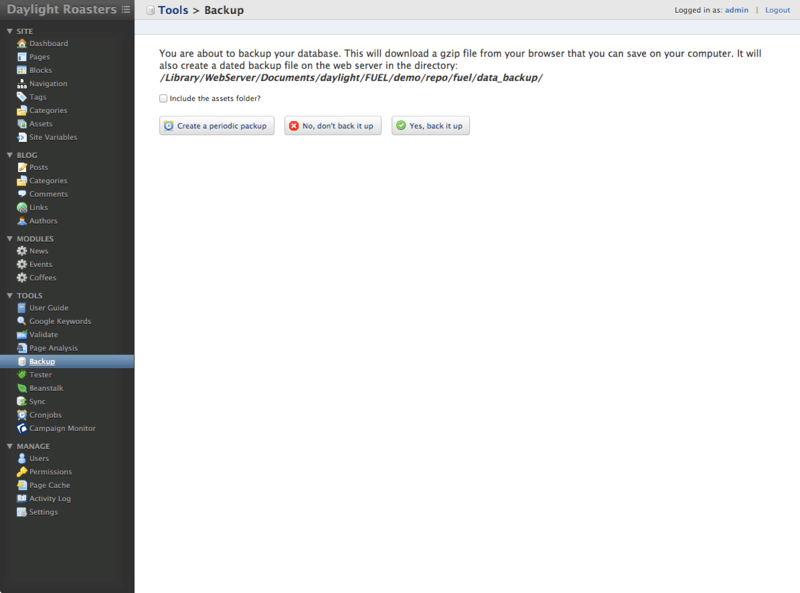 In one download, Fuel has given me that. 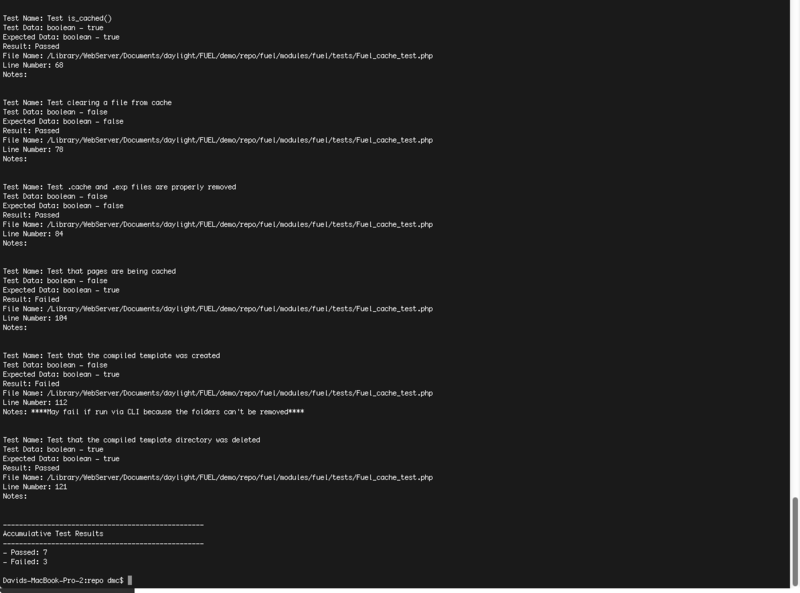 So thank you again! 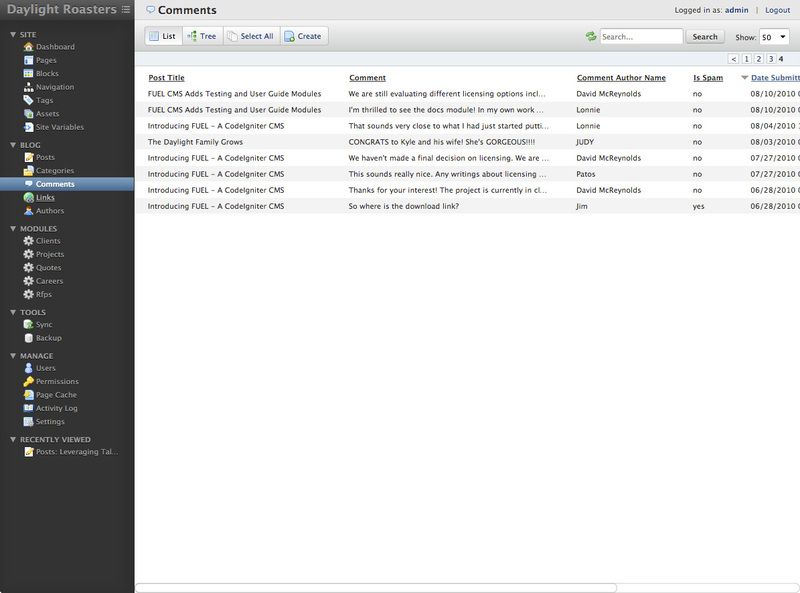 ...thanks for a wonderful CMS!